Saw this awesome photo today from my boy CC Chapman rockin’ the new Fitness Attack Book… Thanks CC!! The look of fear in your eyes, however, is very startling. Did someone point a gun at you and make you take that photo? Fit Life & Fitness Attack Featured on PodShow! 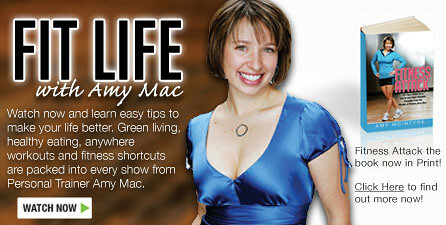 If you haven’t visited www.PodShow.com yet today, you should do so… Amy Mac and Fit Life are featured on the home page! Congratulations Amy! 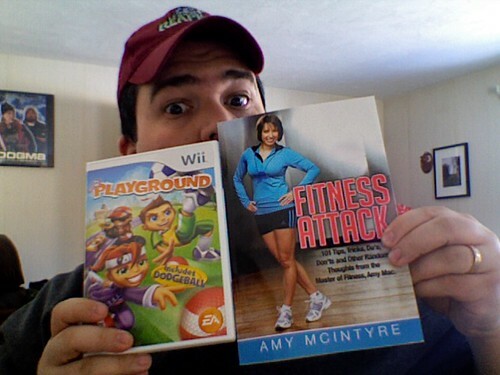 Oh yeah, and once again… don’t forget to Buy the Fitness Attack Book on Amazon today. Friday is the Big Day!! Amy Mac has published her very first book titled, “Fitness Attack” where she gives you 101 easy to implement tips & tricks to hack your body (and your life) into being better. If you have the $15 to spare, buy her book from Amazon.com on Friday (leap day)! The Year of the Marathon! 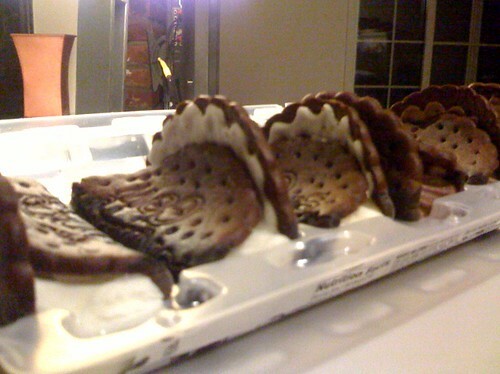 Not too long ago Amy and I went out with some friends of our (Joe & Pam). While out, we got to talking about running and marathons and it turns out, Pam has run a few in her day. As the conversation continued, Amy said she had always wanted to run a marathon (as had I)… so she decided right then and there that 2008 would be the Year of the Marathon! She has started a mission that I assume will be one of the hardest of her fitness life… and I will be running along side her. Amy and I have always been very active (she much more than I) and look forward to this challenge. If you are interested in running with us (or biking with me) shoot me an email and lets get outside! The weather has just started being nice again outside (above 60 and sunny all week) and I am excited to get off of the treadmill. Visit my site often and check out the running log (in the right hand navigation) to follow our mileage and routes. Lots of updates to follow, I’m sure. Oh, for reference, I am debating running the San Francisco Marathon and Amy is thinking about the Nike Womens Marathon. Additionally, we are going to try and run the Bay to Breakers 12k in May as well as a fitness gauge.